﻿ Jón Kolfer "Artemis Fowl"
The main > Cinema> Fantasy> Jón Kolfer "Artemis Fowl"
Fantasy — one of the most popular genres of literature; among his admirers children and adults, men and women. And thanks to world success of "Harry Potter" works in this genre which main characters are teenagers became especially actual. 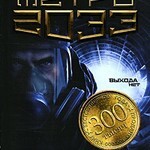 The Artemis Fowl series of the writer Jón Kolfer also belongs to such books. Jón (Owen) Kolfer — the famous Irish writer. The first book, "Benny and Omar", he wrote in 1998. It worked with literary activity as the teacher at elementary school. But the true popularity to it was brought by a series of books about Artemis Fowl, the young child prodigy and the successor of a criminal dynasty. 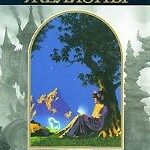 The first book of a series appeared in 2001. Over time Kolfer left teaching completely to devote himself to literature. Artemis Fowl — the last representative of the ancient criminal dynasty Faulov which is carrying out the frauds worldwide. In the honest and dishonest ways of Faula managed to sew to itself a huge fortune. Faulov throughout many centuries serves a family Dvoretski's dynasty. Artemis (which full name — Artemis Fowl of II) — not the simple boy, but the real child prodigy having enormous intelligence and remarkable ability to languages. However brilliant mental capacities are combined in it with awful character and shortage of social skills. 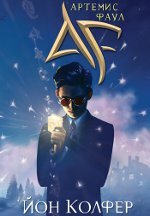 In the Universe of novels about Artemis Fowl the world shares on the world of "vershoks" (people) and the underground world. The underground world is occupied by magic beings from fairy tales and legends: elves, gnomes, goblins, centaurs, piks, sprayta, trolls. In the first book Artemis learns about existence of magic beings and decides to earn additionally. For this purpose he abducts Elfi Small, the officer of the special case of police of the lower levels. For its return from repayment — the huge sum of gold demands. Certainly, the magic folk so simply will not leave gold and will try to return Elfi in other ways. So opposition of Artemis and his assistants, the bodyguard Dvoretski and his sister Juliette, with inhabitants of the underground world begins. The Disney company was going to create the movie based on the first two books, Jón Kolfer had to take part in creation of the scenario. However information on the movie did not arrive for a long time therefore it is supposed that shootings of a picture broke. "Some so hated animals that were vegetarians"
"Zherebkins threw a foot on a foot — a difficult trick for the centaur sitting on a chair"
"It is not necessary to cause feeling of hostility in the thief. Suddenly it has an unstable mentality?" "— I will go I will shout at the captive. — You think, will help? — No, but has to feel better"
"Yes, I recognize, once I was attracted by thoughts of world supremacy but who from us at heart did not cherish dream to wipe out mankind and to occupy the planet equal to?" "Why don't you go to Reykjavík to spend part of the unreasonable sum which is torn off by you from me for use during a couple of hours of your, frankly speaking, third-rate restaurant and, maybe, to find any lonely stub ready with pleasure to listen to your mournful story?" "One funnyman sixth-grader from the St. Bartlbi school, the successor of the hotel empire, nicknamed Artemis Levonozhkaya Faulom — a pier, at that both feet left and it cannot get on a soccerball of any of them. For about a week Artemis suffered obzyvatelstvo, and then bought a network of hotels which the humorist assumed to inherit. Sneers instantly stopped"